How business professionals and developers can work together to create deeper, contextual and integrated digital experiences. Learn how the IBM Digital Experience platform leverages AI to put the best possible experience in front of your customers. 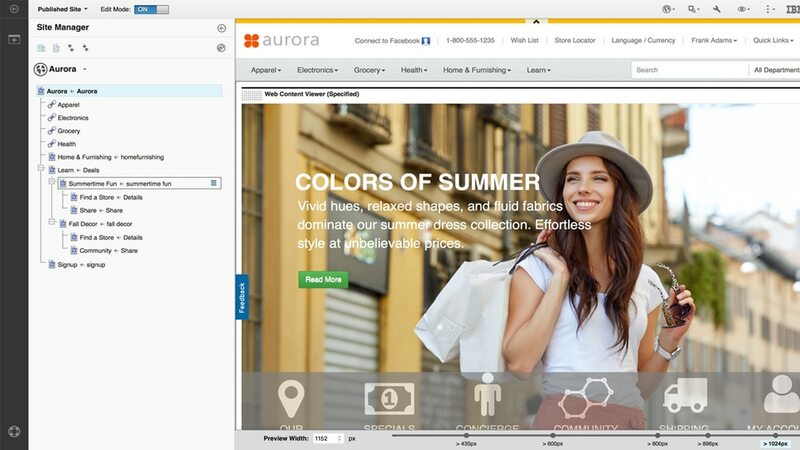 See how you can engage with customers consistently across multiple touch points: web, mobile, social channels. Find out how digital expereinces are defining the market. Take a look at new capabilities and benefits of V9. Learn how V9 combined with cloud-based solutions can help you succeed. IDC shares the results of their research from interviews with IBM Digital Experience customers. Gain insight into best practices on modern web development and continuous delivery using IBM Digital Experience solutions. Collaborate and discuss key topics with IBM experts and other WebSphere Portal community members. Take the assessment . See what you need to do to improve your brand's digital experience.